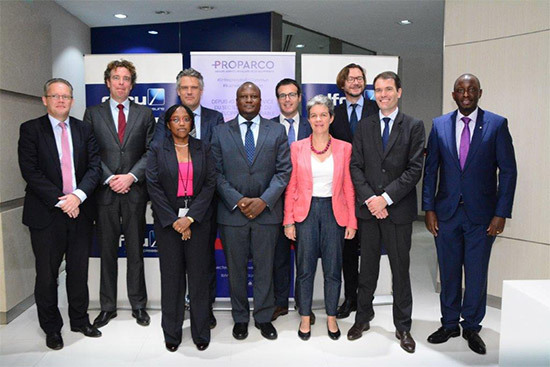 French Development Finance Institution, Proparco, has arranged a USD 30 Million senior debt facility to support dfcu Bank’s efforts to bridge the long-term financing gap for SMEs. Proparco extended financing of USD 15m alongside USD 15m from FMO (the Dutch Development Bank) to dfcu Bank. The facility is primarily earmarked for financing of Small and Medium-size businesses in line with the bank’s SME-oriented strategy. This Line of Credit builds on the long-term relationship between FMO, Proparco and dfcu Bank which spans two decades since 1999 when FMO’s maiden facility of EUR 2,000,000 was extended to dfcu Limited. Over the two decades, the partnership has extended more than USD 170m to dfcu Bank which is equivalent to Uganda Shillings 639 Billion. The facilities have been used to finance various SMEs in sectors including Education, Health, Manufacturing, Agriculture, Transport, Construction, Hotel and Tourism. Proparco and dfcu Bank have had a long-term partnership that has seen Proparco extend a series of facilities to the bank since 2005. The current facility is the 5th transaction with the bank. This testifies to Proparco’s long term commitment to supporting SMEs in developing countries and to the deepening of the financial sector in Uganda. The USD 30m fund will go towards financing SMEs in similar sectors with emphasis on businesses with foreign currency earnings potential, with the aim of boosting the country’s export earnings. The operations of SMEs occupy an admirable position in the Uganda’s economic landscape. Despite being a key driver of economic growth, long term development finance remains a huge challenge. This line of credit will facilitate dfcu in providing a range of financing instruments to SMEs to enable them to continue to play their role in growth, innovation and employment. This facility will further strengthen the Bank’s capacity to grow its business and subsequently consolidate our position as a leading provider of long-term development finance, said Mathias Katamba, Chief Executive Officer, dfcu Bank. FMO is proud to partner with dfcu Bank, a bank that supports productive SMEs in Uganda. Supporting local enterprises through trusted partners like dfcu Bank is core to FMO’s mission, said Linda Broekhuizen, Chief Investment Officer of FMO. Through the partnership, dfcu Bank has benefitted from Technical Assistance in Board Training on Corporate Governance, Mentorship Programs for its Customers, Staff Development Training on Credit Assessment and Support on Environmental and Social Governance.